Halloween is one of the girl’s favourite times of the year. It sits just a smidge below Christmas and I think Christmas only wins because they get presents! They have been designing their handmade Halloween costumes for months now, even spending their own money to buy the things they need. 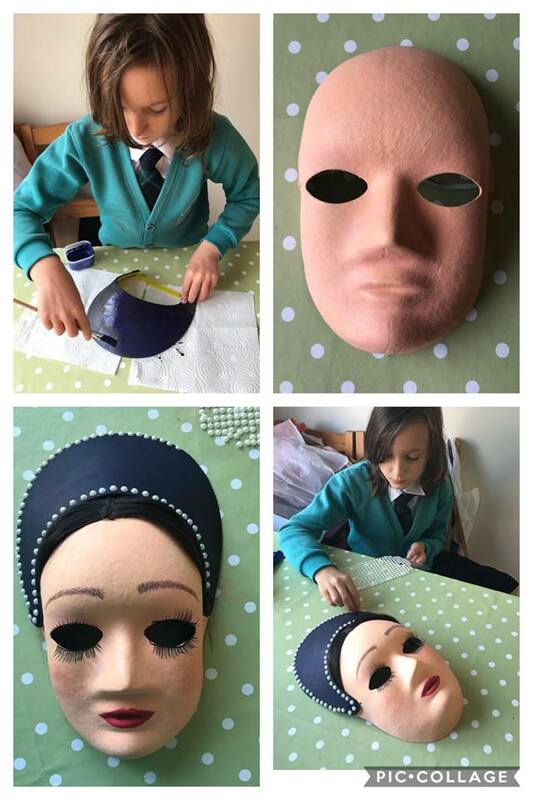 Mia loving history had a vision from the start, but when she picked up a bright yellow foam cap from Hobbycraft for Anne’s French hood, I thought she had totally lost the plot! But by turning it upside down, painting it navy and sticking pearls on it, the kid had a point, it did indeed look like a French hood. 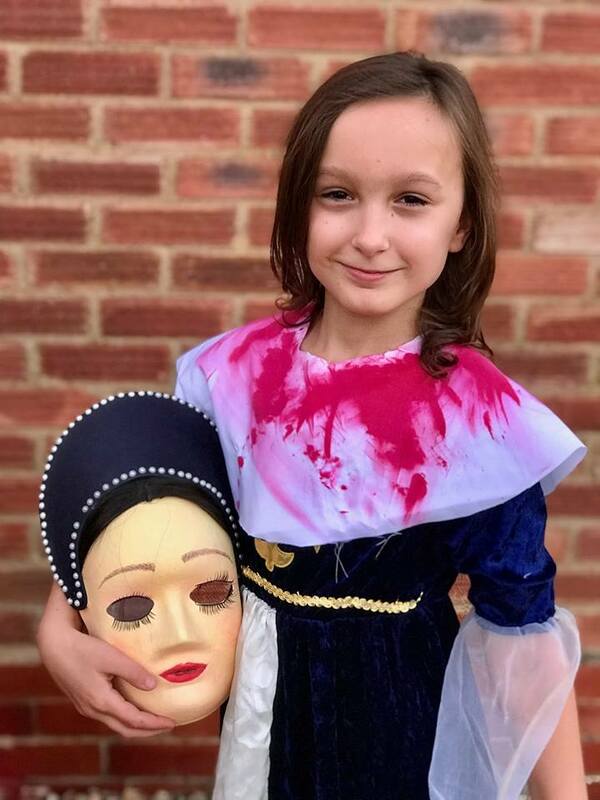 I obviously had to do a lot of work myself on the face because if I let Mia loose on it, god only knows how poor Anne Boleyn would turn out. At least I got to finally use the fake lashes that had been stashed in my makeup drawer since 1996 and let’s face it would probably be there for another 20 years before I threw them out! Thankfully we have a medieval/Tudor dress in the dressing up box and voila Anne Boleyn was born… Or should I say reborn! Madie being the girly girl of the two, didn’t surprise me that she wanted to fluff up her costume with pretty sparkles and swirls. 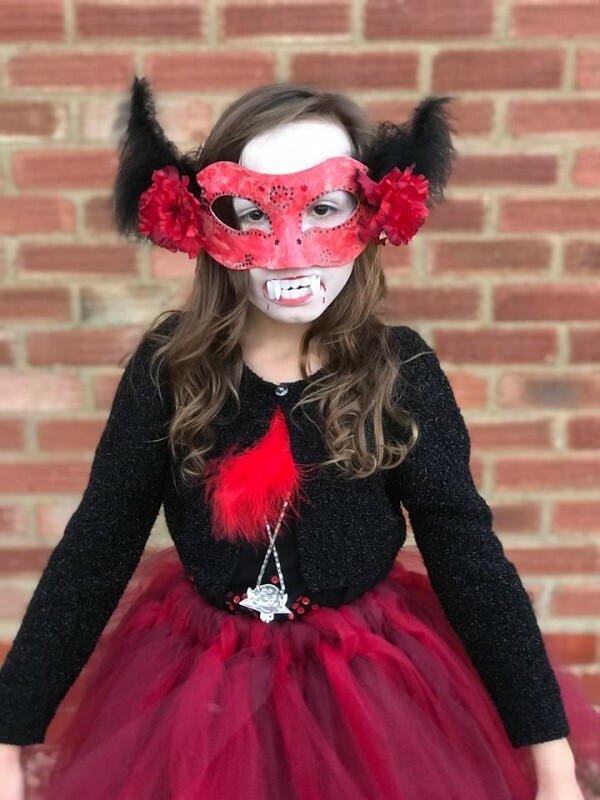 We thought we would give Madie’s vampire princess a handmade twist with a mascaraed style, she wore one of my new tulle skirts and decorated a black top with red sequins and feathers. As we were just walking out the door she decided she wanted her face painting white. 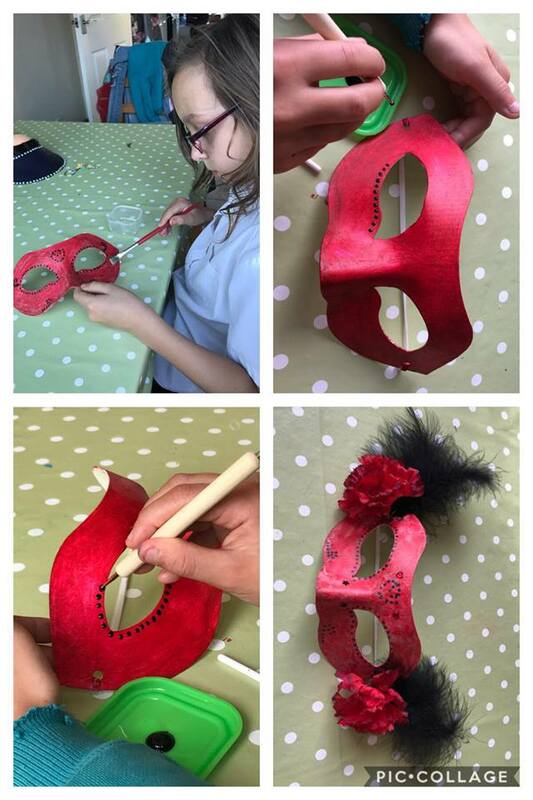 So, a quick dash to the art cupboard to find the crusty dried up face paints, before she popped the mask on and out they went. 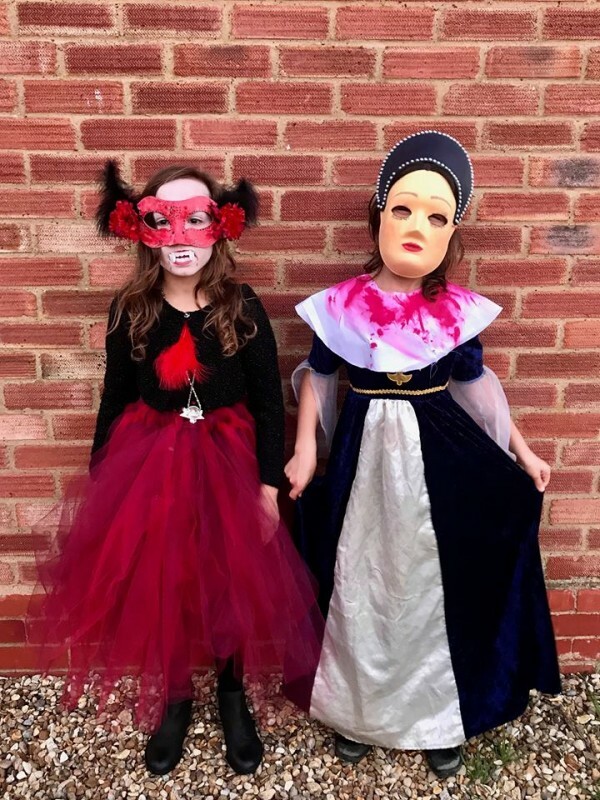 As their half term was this week and the school dresses the hall especially for the Halloween disco, they had to have it two weeks early. I love how they have put their costumes together themselves. So effective too. Happy Halloween! What brilliant costumes, they are amazing.